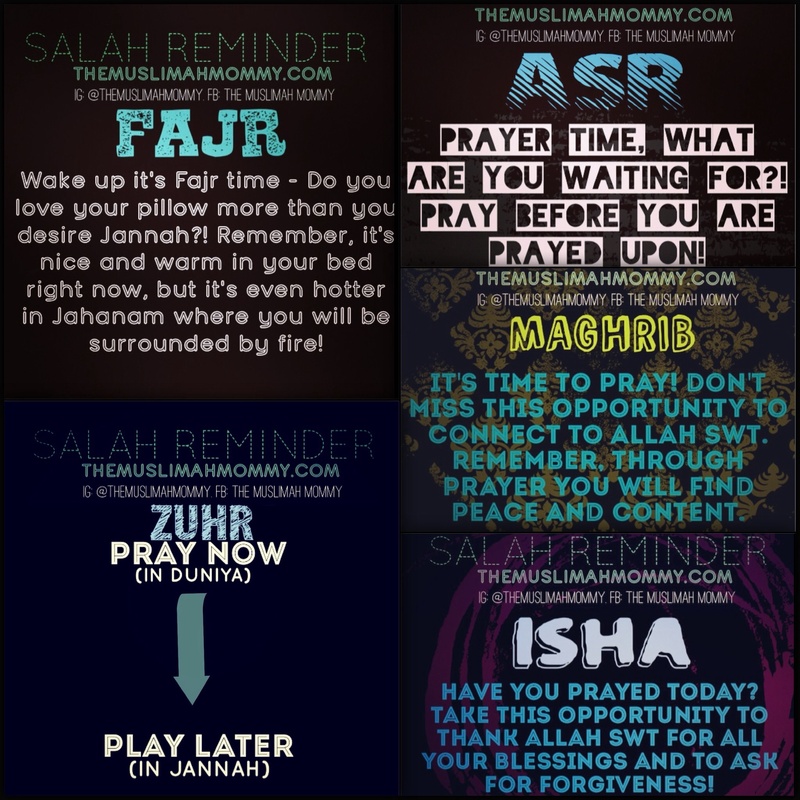 The other day, I put some salah reminders into my iPad; in shaa Allah I’m hoping these reminders will prompt me to pray ON TIME! 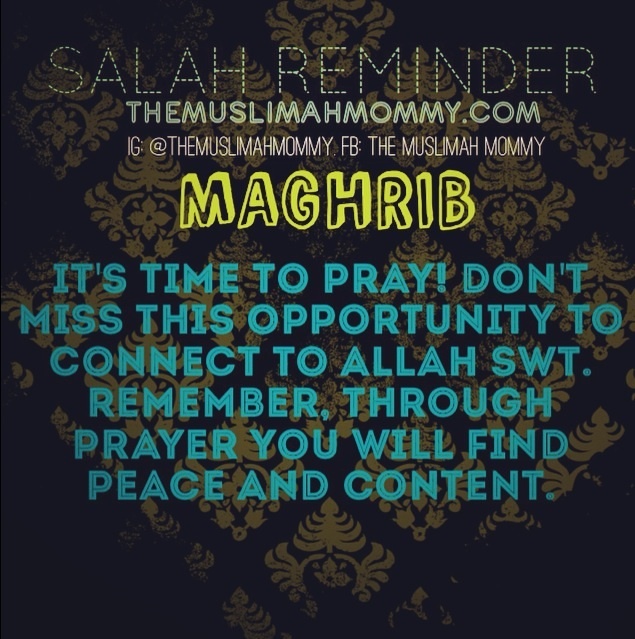 As a mother of three young children, I find myself getting ready for salah, and then just as I’m about to step onto the prayer mat, one of my kids starts crying. 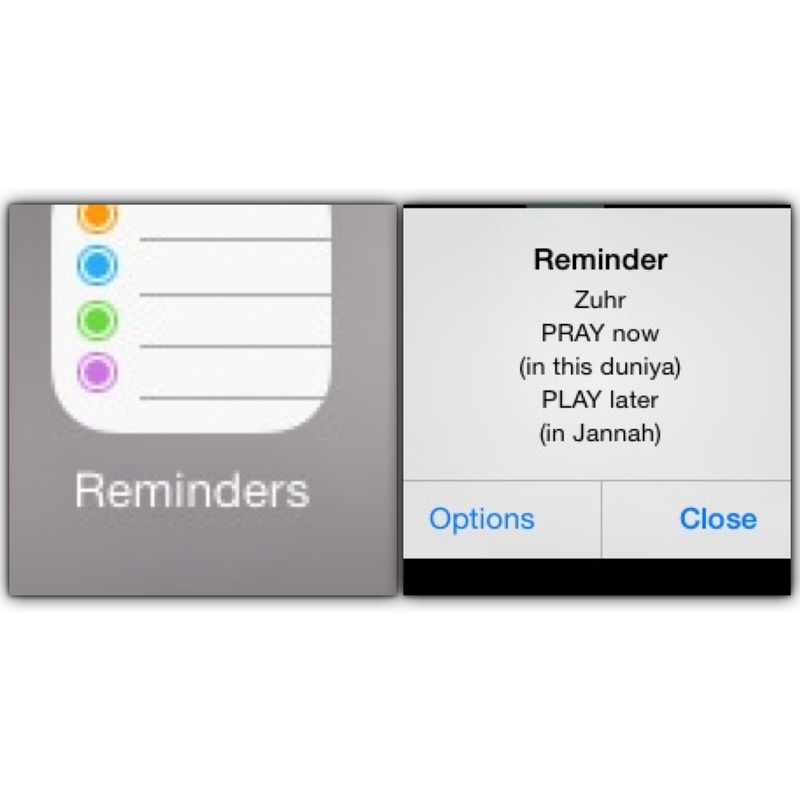 I usually have to calm my child down, and that leads to further distractions; because of this, I have programmed these salah reminders into my iPad to help remind me of prayer. 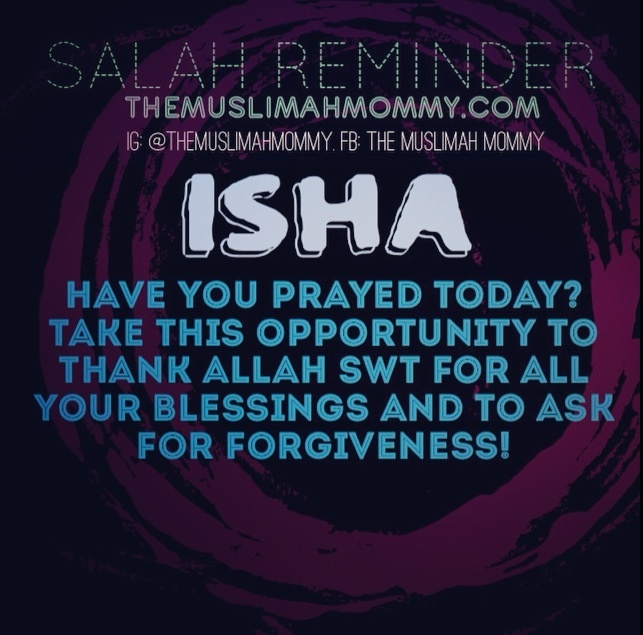 Please note, I’am using these reminders in addition to the app that plays the Adhan, so these reminders will pop up on my iPad right before and just after the Adhan goes off. Down below are the reminders that I have made into images. I have also put these images together into a collage, and use it as a background image for my iPad (as shown in the picture at the top of this post). 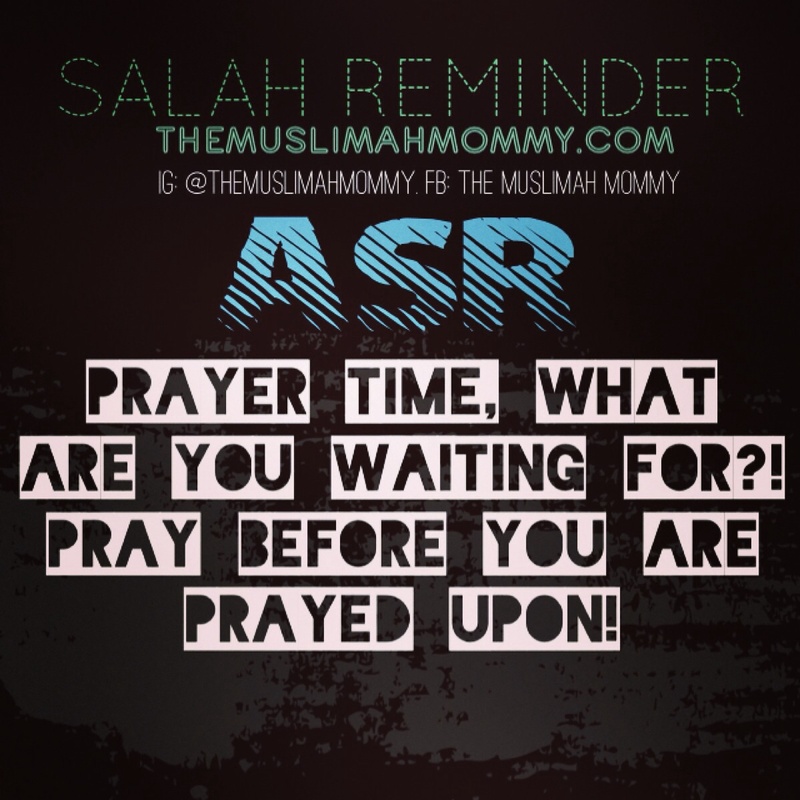 Lastly, I want to remind everyone that the desire for prayer starts in your heart. You must truly want to please Allah subhanahu wa ta’ala, and it is this desire to please Allah subhanahu wa ta’ala that will actually motivate you fulfil the five pillars of Islam. 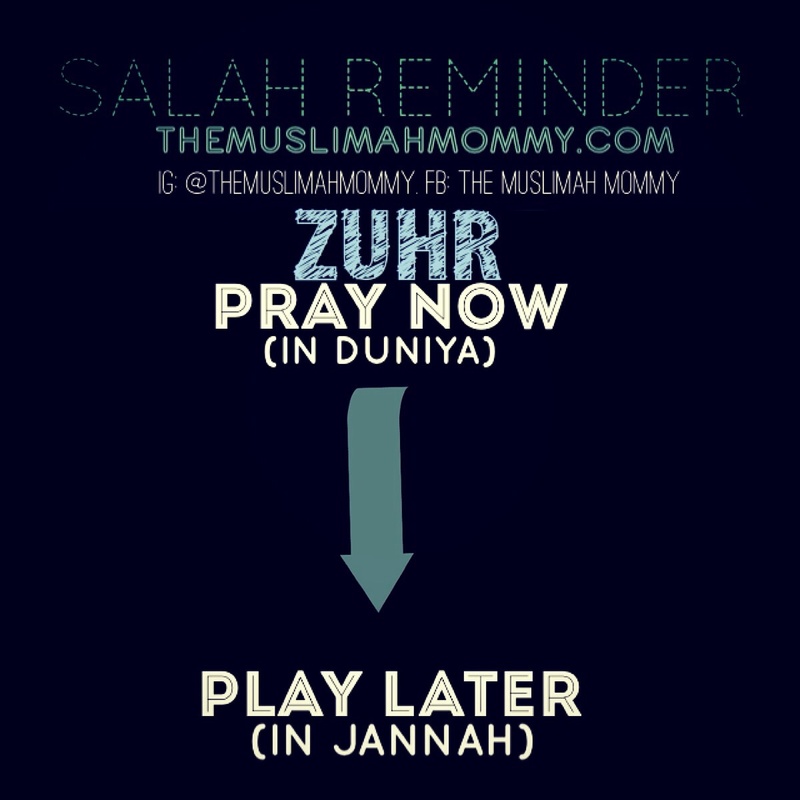 Although these reminders will help me to stay on track when it comes to salah, they are useless if I don’t have love for Islam in my heart. 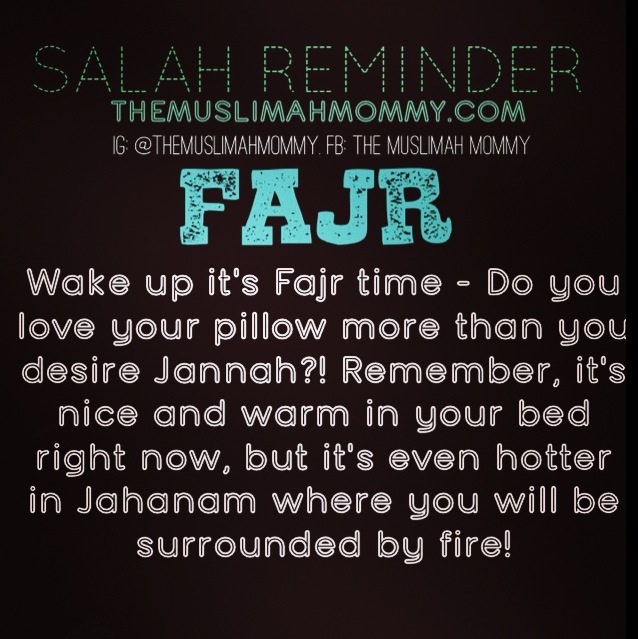 For instance, often times I make Dua asking Allah subhanahu wa ta’ala to help me pray on time; Subhan’Allah the next morning I wake up for Fajr a minute or two before my alarm goes off – but at that moment it’s all up to me: do I go back to sleep or do I get up? I have prayed and made Dua, Allah subhanahu wa ta’ala has helped me and has woken me up, but now I have to decide what the next step will be. For this very reason, we must have the desire to pray before any type of reminder, alarm, or app becomes effective.